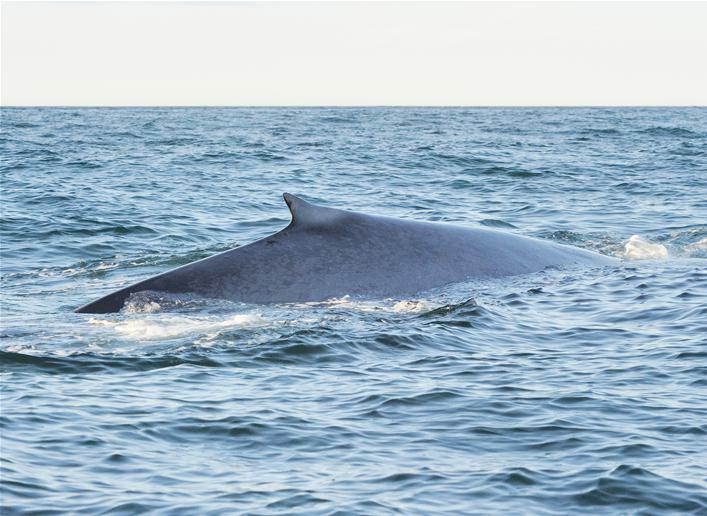 The blue whale is of immense size and has a long, slender streamlined body. 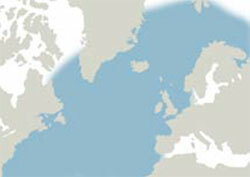 The back is dark grey or bluish, the sides are mottled with in a paler bluish grey and the underside is of a lighter hue. The caudal peduncle is extremely strong but the dorsal fin is small, situated to the rear of the back and only 30 cm high. It can be of various shapes and sizes, sometimes appearing as a small asymmetrical protuberance. The flippers are long, narrow and white on the underside. 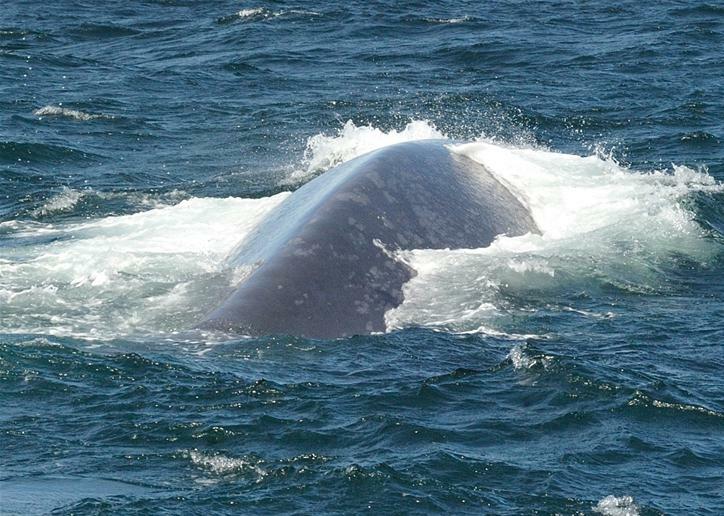 The huge flukes can have a span of as much as 8 m and are usually dark on the underside with a small median notch. The head makes up just short of one quarter of the body length. The snout is rounded and proportionally broader than on other rorquals. There is a low ridge along the middle of the snout and a small rise just in front of the blowholes. Its spout is solid and is projected at least 12 m straight up into the air. When surfacing, the first part of the body to appear is the snout; then the head is submerged to a fair depth before the dorsal fin breaks the surface. 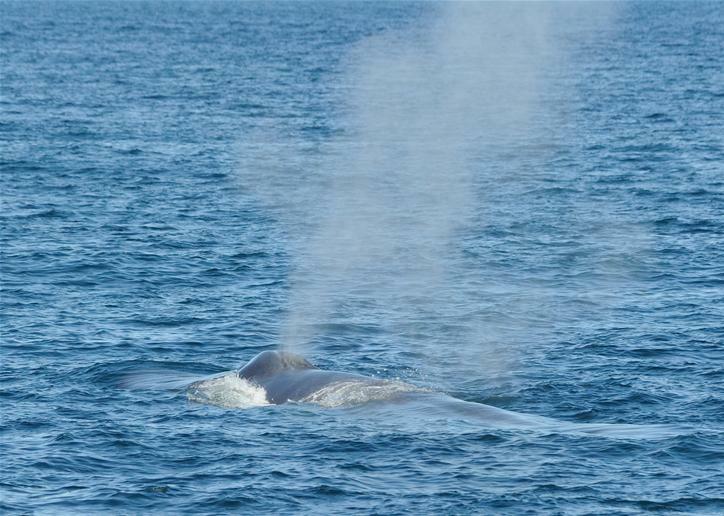 The whale then blows a few times before deep-diving and remaining under water for 5-15 minutes (although it can stay down for up to 50 minutes). The flukes may be raised out of the ocean as the animal dives. 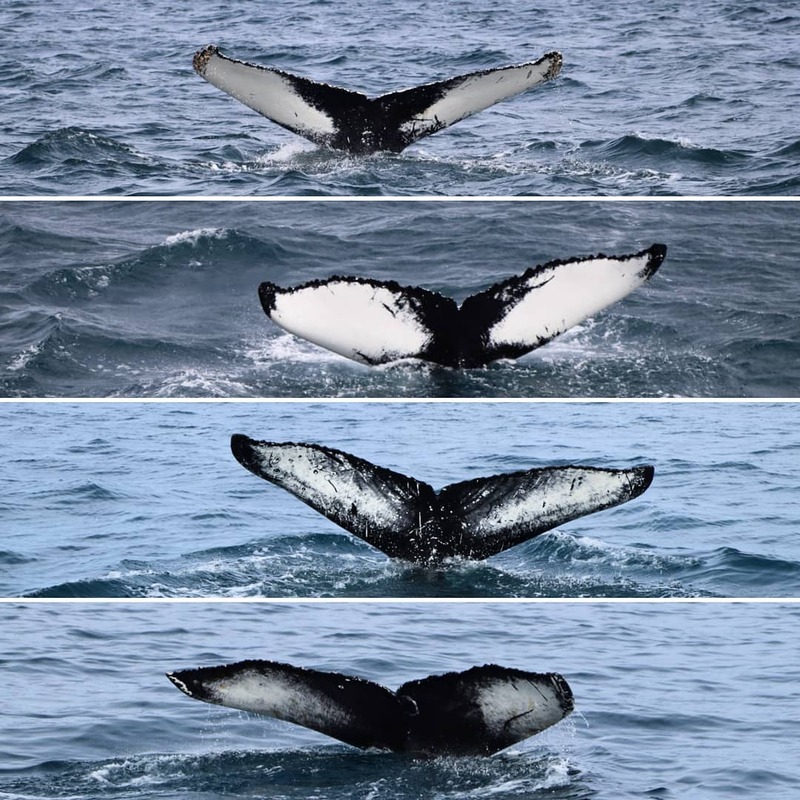 Swimming velocity is about 2-6.5 km an hour while the whale feeds and about 5-22 km an hour while travelling over long distances; although the animal can swim at speeds of over 48 km an hour. Occasionally they breach the surface, especially young animals. 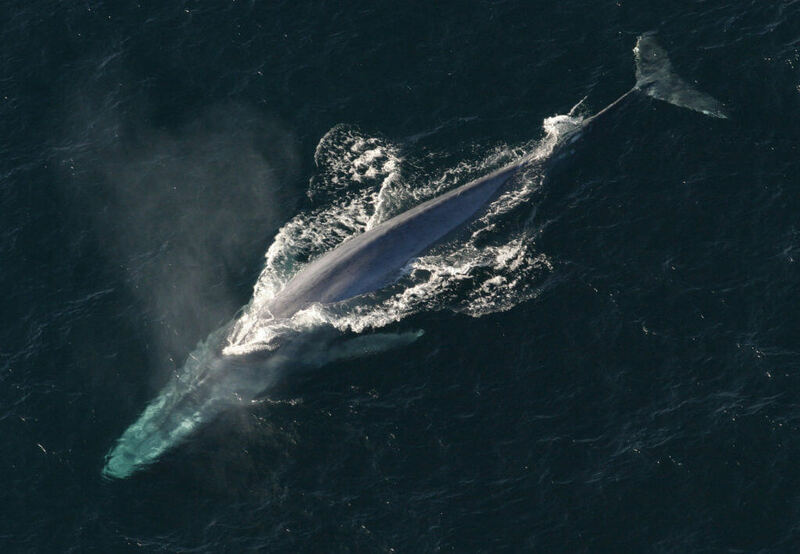 The blue whale is rather suspicious and easily startled and is usually found alone or in a small pod. 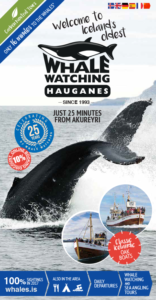 For a more detailed information, see the book ‘Whales‘, by same men (Forlagið, 2010).